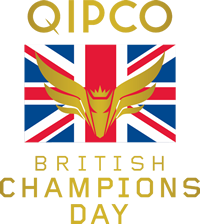 Another one to the Irish as Gordon Lord Byron squeezes through late on to take the Qipco British Champions Sprint. Wayne Lordan on Gordon Lord Byron: "It was tight but as soon as I angled in he went straight through." 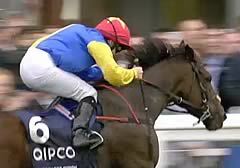 Gordon Lord Byron battled well in tough conditions to land the Group Two QIPCO British Champions Sprint Stakes by a length and a quarter from Tropics at Ascot. The 5/1 joint-favourite looked like he would have to play second fiddle to Tropics after the runner-up came with a withering run in the final furlong but battled back strongly in the final strides to record a famous success. Wayne Lordan, who is no stranger to big-race victories in sprints at Ascot having won last year's running on Slade Power, as well as the Diamond Jubilee Stakes at the Royal meeting this year on the same horse, was full of praise for the son of Byron following the race. "It was a bit tight but he accelerated through them and, even when he got to the front, he thought he had done enough and slowed down a bit," said the jockey. "He has been running consistently all year. Tom (Hogan - trainer) and Kate (O'Brien) have done a great job to keep him going as well as they have all year. It's great and he deserves it. "There's talk of him going to Hong Kong (December 14) after this race. He certainly deserves to go as he's shown time and again that he can mix it in that company. I'd say good ground would be fine but anything quicker than that would be a bit of a problem." G Force, who won the Group One Haydock Sprint Cup last month, could not get in a blow and finished last of the 15 starters. Jockey Danny Tudhope said: "It was very disappointing, but looking back on it things were against the horse today. I was drawn one and I couldn't get the position I wanted. A better draw would have helped, but the ground was too testing for him." Dean Ivory was left rueing the run of the race after his charge Tropics was caught close home by Gordon Lord Byron, his second runner-up spot in a high-profile dash this season. The six-year-old finished second to another Irish-trained raider, Slade Power, in the July Cup at Newmarket. "I thought for a moment we had got it, but was a phenomenal run and I'm very proud of him," said Ivory, "but maybe he was in front a bit soon, and when you're in front you're there to be mugged. The ground was too soft for him, too - he likes ease, but not as much as today - and the other horse stays seven furlongs, and was always going to be finishing. "He's been unlucky a few times this season and he deserved to be in the frame. That will be it for the season but he's a horse who I think is still improving and we should have a lot more fun next year. We won't bring him out so early next year (Tropics started this year at Doncaster in March) and we'll hope to go abroad with him. Perhaps I'll take some advice about that from Tom (Hogan, globetrotting Gordon Lord Byron's trainer)." Jim Goldie, trainer of third-placed Jack Dexter, was equally pleased. "He's run a great race, and the form horses came to the fore," he said. "I thought Gordon Lord Byron would be the one to beat."